Waiting again. This time for the furnace technician. The same boiler that serves our radiators also feeds the hot water heater, of which at the moment we have none (hot water, that is). So. Waiting. I should be better at it by now. In this avocation you certainly get a lot of practice. The advice everyone hears, once a piece of writing has been submitted, is: Don’t Wait! Write! It’s good advice so far as it goes. For one thing, it keeps you doing what you should be doing anyway. For another, there’s a good chance you’ll have a finished piece ready to submit elsewhere before the first one sells or comes flying back (Figuratively, as almost no one does that now. It was a paper thing.) Never having to pin all your hopes on just one possibility, which may (likely will) disappoint you. Doing your work, also a coping mechanism for waiting. But you wait anyway, despite all the defenses and deflections and denials. There’s that one market you really, really want to crack before you die. There’s a special piece that you just know is the best thing you’ve ever done and you want it Out There! Rather than sitting in some editor’s queue. And if it gets bought, then you’re waiting again, until it’s actually out there, which means there are lead times and what’s bought in March doesn’t get published until October, if you’re lucky. For books it’s even longer as a rule. Before you even get to that point there are edits to get through, and then you’re waiting (again) for editorial approval of the changes, or more corrections and the process starts again…. Then there’s the gap between buying and the check arriving, and don’t get me started on that. I seem to be living in reverse. When I was younger, I had more patience. I find it’s a scarcer commodity as time marches on. Too conscious of the passage of time, too aware that the time to get things done and find whatever it is you’re trying to find in your work, in yourself, is very finite. Any time spent waiting feels like wasted time, even when you’re not just waiting, you’re also waiting. There’s no real escape from it. Just make it share the time it wants to take from you with whatever doesn’t involve waiting. You can’t get rid of it, but at least you can make it earn its keep. They have arrived. 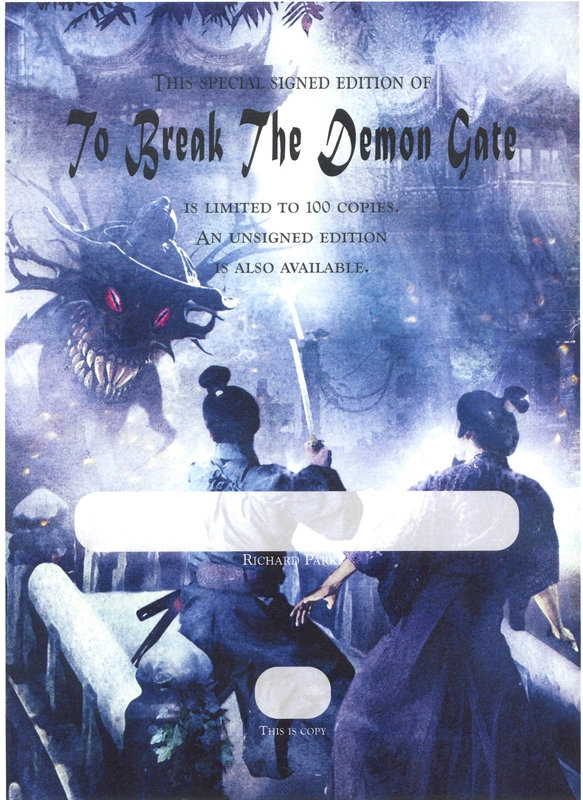 The signing sheets for the PS Publishing edition of To Break the Demon Gate, that is. There will actually be two PS editions: a 100 copy signed edition, and an unsigned edition of maybe 3-5 hundred. I will have to sign more than 100 copies of the sheet, of course. They always allow a little for spoilage and the fact that people can get really sloppy with their signatures. They’ll pick the 100 best ones and use those for the books. So if you get one and are shocked by my horrible handwriting, just consider–this is the best I could do. To acknowledge this festive (for me, anyway) occasion, I’ve decided to put a few of my Kindle(r) books on sale. 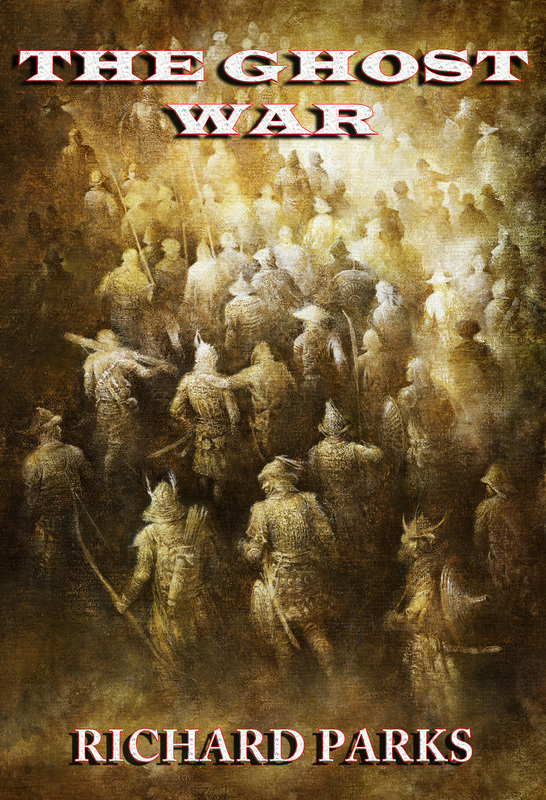 For the time being, All The Gates of Hell, The Heavenly Fox, and The Ghost War are now at $0.99, down from $2.99 and $3.99. I’m not sure how long I’ll keep them there. Probably not long–I feel so cheap when I do this, so if you’re going to take advantage of me, now’s the time. Edited to add: And I’ve thrown in a few more, what the heck. You can see which ones by going to the Kindle List. Late last night I was watching a rather obscure Japanese movie (though filmed in Hong Kong in 2007) called Dororo. It’s based on a manga series by Ozamu Tezuko (he of Astro Boy fame). Here’s the pitch/teaser: “A female warrior who was raised as a man joins a young samurai’s quest to recover 48 of his body parts from 48 demons and to avenge her parents death.” There’s a longer version, but it’s still a variation on this basic premise, and as the movie played I realized that I had a problem with the way it was pitched. It’s not that the pitch was inaccurate—as a capsule summary it covers the basics of what they movie’s about fairly well. The premise is, of course, ridiculous. No one’s going to lose 48 body parts (some fairly important like, say, the heart) and still survive long enough to be discovered by just the right magic shaman who knows how to replace body parts. Even in a pure fantasy like this one it stretched credibility past the breaking point. Regardless, I didn’t come here to review the movie, as such. I am here to make the point that, despite the nonsense premise, despite the rather gruesome imagery of the pitch, I liked the movie quite a bit. Which was when I realized that I had a problem with the movie’s pitch itself. It wasn’t that, as I said, it was inaccurate. No, I think it’s mostly that it managed to be both accurate and very misleading. Why? Because the movie was so much better than that. The hero’s plight manages to be both grotesque and sympathetic at the same time. The heroine in her own way is as much damaged as the hero, and yet is just as heroic, plus by turns poignant, amoral, and laugh out loud funny. The cgi is a bit lacking at times, but it captures the esthetic of the Japanese monster tradition beautifully—the group soul ghost baby is almost worth the price of admission itself. And yet the pitch, brief as it has to be, conveys absolutely none of this. Pitches tell you what a movie/story is about and simultaneously tell you almost nothing. 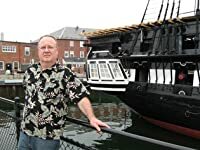 I had one more project to finish before getting back to the sequel to Black Kath’s Daughter. 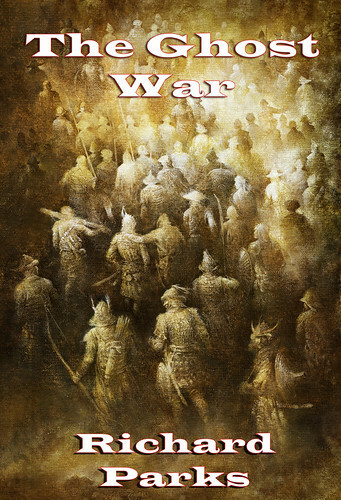 The working (and likely final) title is The Ghost War, and I’m not too far from done, just a few line edits and minor corrections left. It’s a stand-alone, which most of my novel-length work is, the Laws of Power sequence being the only exception so far. I know a few people are actually waiting for the next novel in the series and I promise I’ll get it done. In the meantime, have a look at the eerily appropriate working cover for the new project.